Enrollment for the Fall Session is fully booked and CLOSED at this time. Thanks to all! 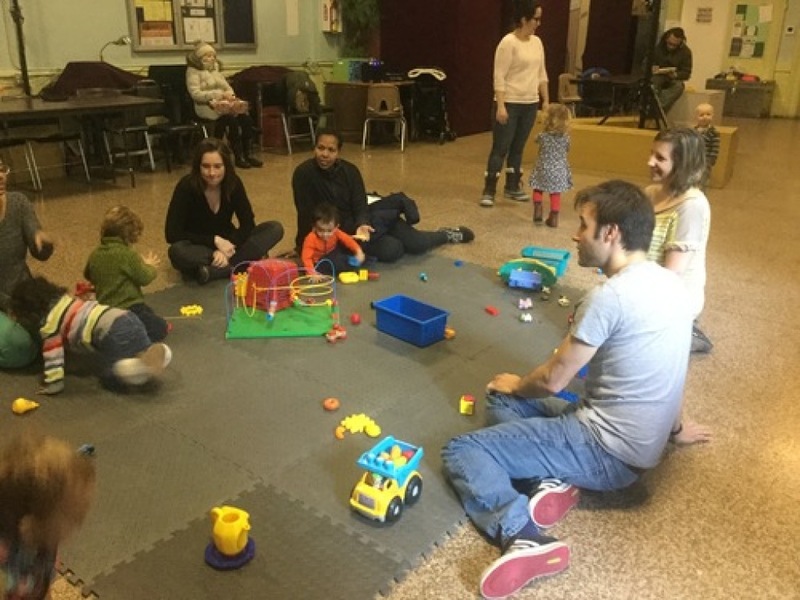 Offered in collaboration with Harlem Family Institute, Babies & Toddlers meets twice a week, Tuesday and Thursdays from 10:00 AM until 12:00 PM during the colder months. This social wellness program was conceived to strengthen the bond between caregiver and child and facilitates positive interaction among young children. Parents/guardians and their young children gather for play, socialization, and activities. FCC Babies & Toddlers provides an opportunity for toddlers and pre-school aged youngsters to be in an environment that fosters and encourages development in children, presents new parents with a support network and offers services, workshops and opportunities that address the needs and challenges that face new families.